Going to summer camp for the first time might seem a little overwhelming, so let’s give you a breakdown of what camp is really about. Y.E.S. Camp is a Christian Youth Camping experience, and we pride ourselves in being a non-traditional Christian Camp. We have been in existence since 1985 when camp founder Pastor Paul Mitchell sought God’s leading to begin a low cost, high quality Christian Camp for kids who otherwise might not be able to enjoy this kind of experience. To date, we have hosted over 1500 campers of all ages and from all walks of life. YES Camp is a ministry of the River of Life Christian Fellowship of Ellsworth, PA. We offer sound biblical teaching and guidance wrapped up in a week packed full of fun, as well as great fellowship with the other campers and staff members while in a safe, fun, and friendly environment. We have kept the cost for the week as low as possible to ensure that price doesn’t ever stop a camper from the experience. Our staff is made up of dedicated, well-trained Christians with their clearances who volunteer a week of their time to this effort. Over 80% of campers who attend once come back again. We would love to have you join us for this year’s camp! We are blessed to be based at the beautiful Laurel Hill State Park in Somerset, PA. We have full uses of the most modern campsites in the park. Campsite #1 is our home this year. Our facilities include a paved basketball court, bunkhouse style sleeping cabins, a spacious dining hall attached to a modern kitchen, flush toilets, modernized bathroom facilities, and plenty of safe, wide open spaces to play. We are located right next to some of the park’s best hiking trails and we are only a few minutes walking distance from Laurel Lake, where our campers cool off in a spring fed lake. Camp is split into Jr and Sr camp. The Jr camp, ages 7-11, is split between boys and girls. The Sr camp separates the boys and girls as well, but is then split further. B1/G1 is ages 11-13, B2/G2 is ages 12-14, B3/G3 is ages 15-18. Some of YES Camp’s Rec Activities include basketball, field games, tournaments, guided hikes, swimming at the lake, slip n slides, and crafts. 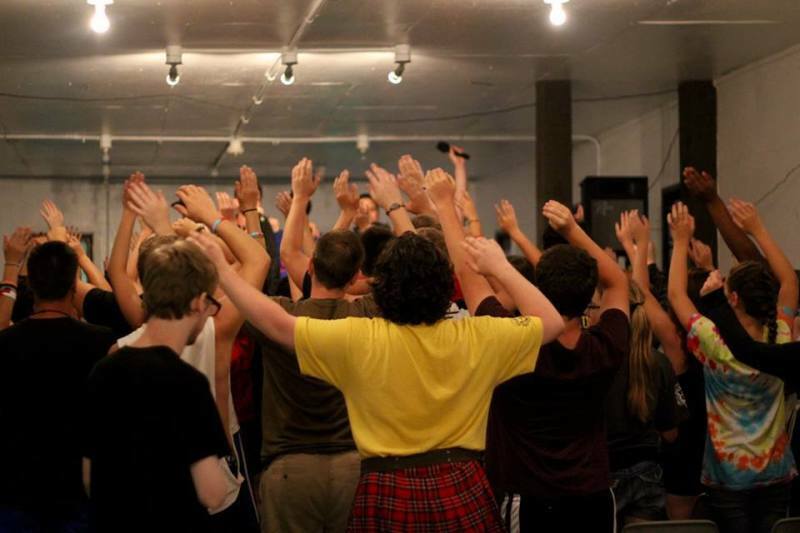 YES Camp offers daily worship at RWG, Cabin Devotions, and a moving Chapel Service. You can look at the schedule below for a further breakdown of our schedule! We serve 3 great meals every day, and a fully stocked snack bar (additional cost beyond registration). The fellowship is great, the fun is plenty, and your spot at YES Camp is waiting!